Show your support for New Zealand Babywearing Week – Share our Logo and WIN! 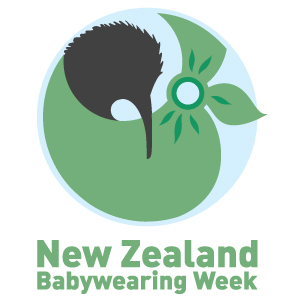 Make the New Zealand Babywearing Week Logo your Facebook Avatar for the rest of the month, participate on the New Zealand Babywearing Week Facebook page during October (share photos, comment and like etc) and you could win one of three prize packs! Each pack includes a set of fumbee shoulder strap protectors (great for on any baby carrier, car seat straps or stroller/push chair shoulder straps) from My Natural Baby and a copy of the latest The Natural Parent Magazine! There will be three random draws during October so keep an eye out for the winner announcements which will be happening on random days! You can copy the logo from this post (see below – right click over the images and choose ‘save image as’ – save to your computer then upload it as your new Facebook avatar), or from the New Zealand Babywearing Week Facebook Page. Good luck to all who participate!! 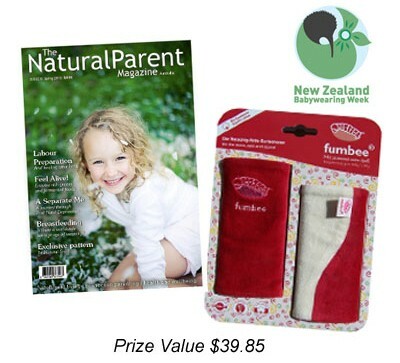 This entry was posted in Giveaways and tagged fumbee shoulder strap protectors, New Zealand Babywearing Week, NZ Babywearing Week, organic cotton velour, The Natural Parent Magazine. Bookmark the permalink.